The stories in Fruit Lovers Devotions to Go address two seemingly unrelated struggles women face nutrition and niceness. Planning nutritious meals day after day is difficult and being sweet-tempered all the time is tricky, too. Fortunately, the answer to both dilemmas may be the same fruit! Edible fruit adds natural goodness to your table. Spiritual fruit brings refreshing changes to your life. 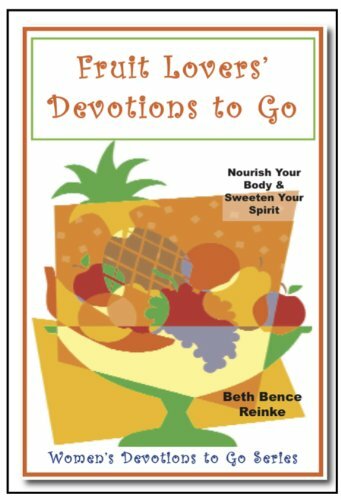 Through Scripture, recipes and stories about her personal experiences, author Beth Bence Reinke offers ideas to help you become fruit-filled, in both body and spirit. Go ahead fill up on sweetness that s actually good for you! Fruit Lovers Devotions to Go is part of the Women s Devotions to Go series. Devotions to Go offers month-long devotions on a variety of topics.